Right from the start, Peter Del Gallo was in trouble. He was wrestling in the NCAA Division III Northeast final Feb. 25, and fell behind early, having missed on a move and opened the door for Jay Albis of Johnson & Wales to jump ahead. 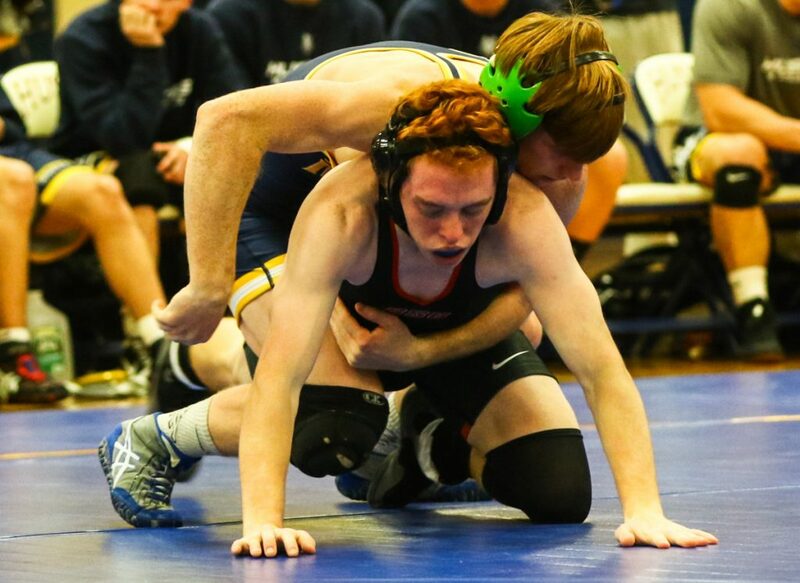 The wrestler who hadn’t suffered a loss all season couldn’t keep his unbeaten streak intact. Del Gallo, a University of Southern Maine sophomore, lost 10-4 after winning his first 39 matches of the season. “I turned to one of my assistant coaches right after the match and I said, ‘That’s probably the best thing that could have happened to him,'” said USM Coach Mike Morin. “When you’re always winning, you can kind of get stuck in your own rut of going through the motions. I think a loss can be a really powerful good thing for athletes. Pressure and expectations have followed Del Gallo every step since a decorated high school career that included two New England championships and four national tournament qualifications. Morin said Del Gallo grew more intense with his training this year and improved his style, getting more aggressive and efficient. After waiting for opponents to make mistakes as a freshman, he’s started faster as a sophomore, looking to rack up points and bury opponents. Morin saw this new approach on the first day, and said Del Gallo has kept it going. And the approach worked, until the regional final. Del Gallo tried a move, Albis saw it coming, and in seconds Del Gallo was on his back and down 6-0. Morin said that as a freshman, Del Gallo might have let the loss linger. As a sophomore, his maturity became apparent. Now he’ll try to become the second member of his family to win an NCAA title.